The University of Benin, Benin City, has a Centre for Maritime Studies, Information and Communication Technology (ICT). This Centre, runs a two-year Full-Time Diploma in Maritime Studies, Information and Communication Technology (ICT). The course has adequate professional and academic content, to produce manpower for the promotion of staff proficiency, capacity building and performance in the Sea Ports, Shipping, Oil and ICT sectors of the economy for middle and top management positions. Furthermore, the Centre also runs professional courses at Advanced Certificate Level.The Courses are as follows:(i) Oil and Gas Instrumentation and Control Engineering (ii) Oil and Gas Electrical Engineering and Naval Architecture (iii) Marine and Naval Architecture Engineering, (iv) Oil Field Development and Subsea Engineering.The duration of this is 12months. And waivers can be given to desiring candidates. Graduates from the Centre shall acquire both academic and practical knowledge to be employed directly into Sea Ports, Shipping, Oil, Custom Services, and other Agencies in maritime and ICT industries. The Diploma in Maritime Studies and ICT is recognized as a direct entry qualification in the University of Benin into 200 level for all Engineering programmes and degree programme in the Faculty of Science (Computer Science, Mathematics (Pure and Applied), Industrial Mathematics, Mathematics with Physics, Mathematics with Chemistry, Statistics with Computer Science, Physics, Geology and Industrial Physics), Faculty of Education (Department of Vocational and Technical Education) and Library Studies and similar institutions in the country. Programme would also serve as capacity building for the academic and professional enhancement of persons with innate maritime culture and tradition. INDUSTRAL TRAINING: Students must undertake and pass a three-month industrial training period between the first and second years of the programme. 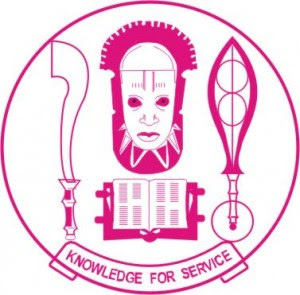 How to Apply for UNIBEN Diploma in Maritime and ICT Admission Form. Candidates should visit the website myuniben.org then click on Application to initiate the online application process by printing application fee slip of the sum of N10,000.00 (Ten Thousand Naira) and then proceed to any Commercial Bank of their choice to make the payment through Interswitch platform. Thereafter, candidates are expected to go back to the same website to complete their application online. Candidates should ensure that forms are clearly filled with all information required on or before 30th September, 2018. Any application Form not properly filled will not be treated.